Featured items during the event included the Merlo Roto 45.21 MCSS and the Merlo 120.10HM. Wood's CRW held an open house April 1 at its Carlisle, Pa., facility. The event featured crane demos, presentations, door prizes and food as well as a crane skills competition presented by the Crane Institute Certification's Cranes 101. Vendors in attendance were Link-Belt, National Crane, Samson Rope, Volvo Financial, Peterbilt, Shuttlelift, Maeda, Merlo and A-1A software. Featured pieces of equipment included Maeda USA mini-crawler cranes, Merlo telehandlers, Link-Belt cranes and Samson Ropes. 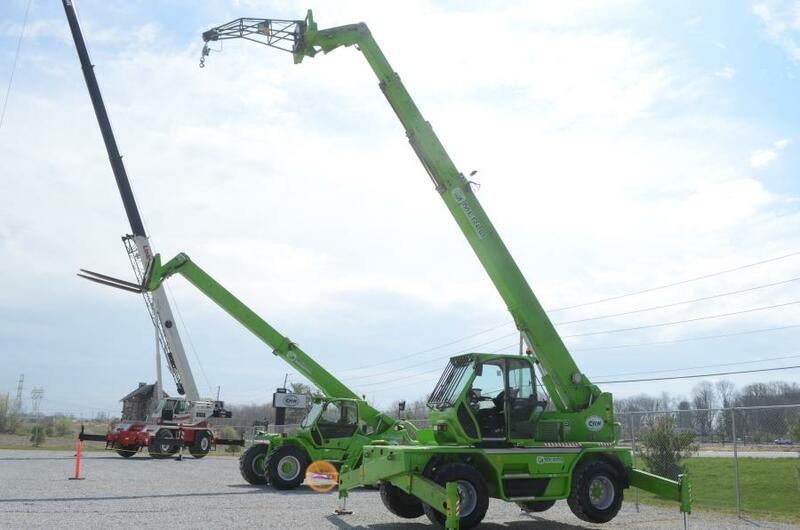 Merlo telehandlers were a big hit during the event; the Roto makes it possible to operate 360 degrees, which gives it a greater radius compared with a fixed telehandler. The Merlo 120.1 HM also caught the eye of attendees because of its massive maximum load capacity: 26,500 lbs. The lift capacity at lift height is 11,000 lbs. and at reach it is 6,100 lbs. The Samson KZ-100 synthetic crane hoist line attracted attention as well. 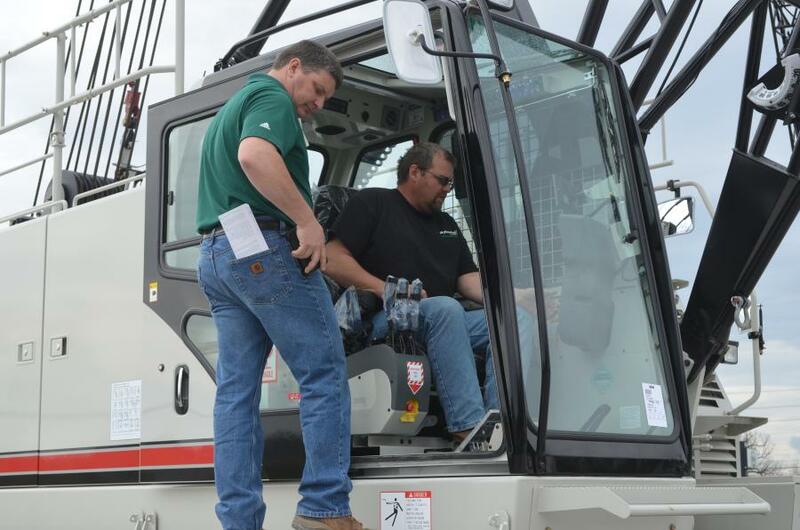 Attendees were pleased when they learned that existing cranes can be retrofitted with the KZ-100. The rope's design incorporates a proprietary coating to mitigate UV degradation and is 80 percent lighter at similar strengths and its braided, torque-neutral construction significantly reduces load spin. Maeda mini-cranes drew a crowd as John Carpenter, sales manager of Maeda USA, showed attendees how easy it is to set up the crane from its folded position. The MC285-2 has a slim 30-in. body and is ideal for fitting inside garages, warehouses, service elevators and many other locations. 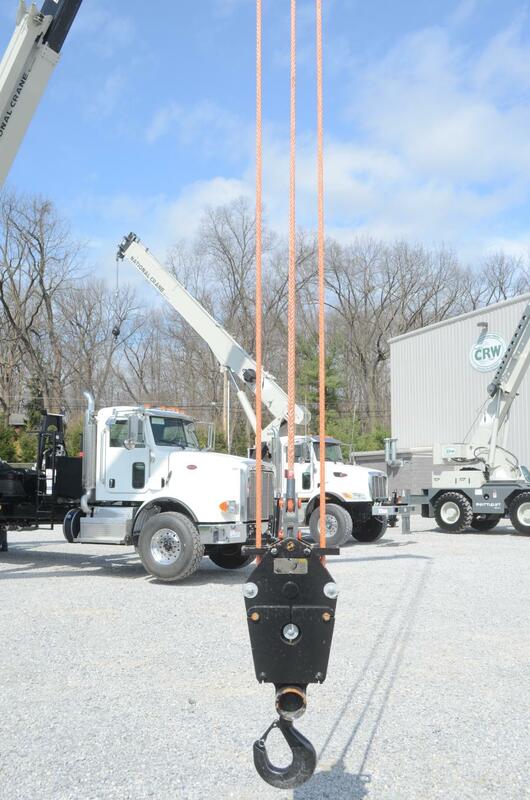 The Link-Belt HTC-86110 made its debut last year at CraneFest in Lexington, Ky., and it was prominently displayed during the Wood's CRW open house. 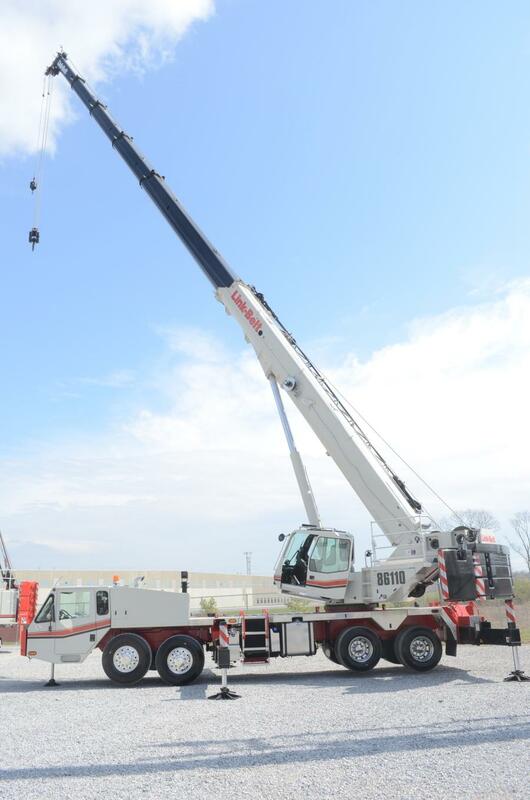 The HTC-86110 features a 164-ft. (50 m) main boom that outreaches the truck crane competition. The operator's cab includes power tilt from 0 to 20 degrees along with a pull-out “cabwalk” for easy entry. For nighttime shifts, there are four high intensity work lights mounted to the top of the cab. Tyler Mayo of BGM Inc. in Hardwick, Vt., won the crane competition, which earned him $500 and a paid trip to compete in the finals at the ICUEE show in 2017.